Two excerpts from The Handbook on Chinese Intelligence, by Peter Mattis and Matt Brazil, to be published in 2018 by the Naval Institute Press. Long before it was “The Vegas of Asia,” Macau was a Portuguese-administered porto de abrigo, or haven, for political activists. Secret societies dedicated to overthrowing the Manchu (Qing) Dynasty were based there in the 1870s. The father of modern China, Sun Yat-sen, resided in the enclave at different times in the 1890s, and founded the Tongmenghui (Liga Unida, or Unity League) in Macau in 1905. With the collapse of China’s last dynasty in 1911 and the Bolshevik victory in Russia in 1918, Macau became an increasingly attractive haven for another activity—espionage. The Portuguese rounded up Chinese Communist cells in 1927 and 1929 and in the 1930s. While Ho Chi Minh briefly lived in Macau, the Indochinese Communist Party held its first congress in the Hotel Cantão (Canton Hotel) from 27 to 31 March 1935. In 1937 a Russian NKVD “illegal” agent posing as a Frenchman was discovered operating a restaurant. These are just the publicly known cases. As they prepared to invade China, the Japanese made investments in Macau, posting intelligence officers under commercial cover. In May 1935, news reports circulated that Tokyo had offered Lisbon US$100m to buy Macau, apparently as a military base. When Tokyo’s forces swept across the mainland and reached south China in mid-1938, Macau had become “a center for Japanese espionage and in turn one for Chinese counter-espionage” according a Portuguese report, which urged neutrality to preserve Lisbon’s control. Japanese soldiers patronized Macau hotels, restaurants and gambling houses without paying, the Kempeitai, its secret police, maintained a strong presence, and Japanese forces controlled movement in and out. However, Japan mostly respected Macau’s neutrality (as Germany respected that of Portugal): the British consulate stayed in place, the Portuguese administration remained intact, and Macau absorbed hundreds of thousands of refugees. Though the environment remained hostile to the Chinese Communists, their urban agents and rural guerillas found opportunities to expand operations. Pan Hannian, who ran all communist espionage operations in Japanese-occupied China, directed Dr. Ke Lin, a veteran secret agent, to move from Hong Kong to Macau in 1935 and establish a medical clinic. The mission: befriend and re-recruit General Ye Ting, who had taken refuge in Macau, to the communist cause. Ke was successful, and continued clandestine operations in Macau for 16 years. Most important for the long term, Ke cultivated and recruited Macau business figures such as Ho Yin and Ma Man-kei to assist the cause. Chinese Communist East River Column guerillas began operating in the region when the Japanese army arrived in 1938, and maintained three clandestine radio stations: in the Hong Kong New Territories, on Landau Island, and in downtown Macau. The Macau station operated without interruption from the Salesian School (Escola Salesiana—today’s Instituto Salesiano), on Rua Central (Central Street). The Japanese tried but failed to locate the Macau station, which stayed on the air, undetected, until the end of the war. With Japan’s surrender in August 1945, the Chinese Nationalists surrounded Macau, as had the Japanese before them, and placed operatives among “class associations” of herbalists, barbers, hotel employees, and in factories. In the midst of regular Nationalist bombings and shootings against communists in Macau, Ho Yin appealed to the Portuguese for protection. Lisbon’s representatives tolerated secret operations of both the Nationalists and Communists as long as they did not disturb public order. The Nam Kwong Company, founded in August 1949, became Beijing’s unofficial office in Macau through 1987—when Xinhua, the New China News Agency, assumed that role as it had in Hong Kong. Ho Yin and Ma Man-kei founded educational and business associations to counter the continuing strong presence of the exiled Nationalists on Taiwan, who were tolerated by the Portuguese due to the anti-communist stance of the Salazar government in Lisbon. Ho Yin became the chief intermediary between Beijing and Macau’s Portuguese governor, and ran some of Macau’s lucrative gold smuggling operations—enriching himself and bringing $27 million a month into China after the People’s Republic was declared in 1949. Portuguese officials largely turned a blind eye to these re-exports, which during the Korean War also included petroleum, tires, and medicines destined for the Chinese People’s Volunteers in Korea. In recent times, PRC-appointed authorities have allowed those who would be suppressed as religious dissidents on the mainland to operate in Macau, but have pursued a vigorous counter-intelligence program—tightening up on organized crime and examining perceived use of at least one American casino by CIA to spot and recruit corrupt Chinese officials visiting Macau. This is at least one indication that the role of Macau as a haven for international intrigue is not yet over. Geoffrey C. Gunn, Encountering Macau: A Portuguese City-State on the Periphery of China, 1557-1999 (Boulder: Westview Press, 1996), pp. 96 and 99. As a casual observer can see today (2014-16), Western religious groups and even the anti-communist Falungong religious movement openly evangelize in Macau, and the non-communist press contains articles sometimes critical of the casinos and the CCP-sponsored administration. For a comment on a similar policy pursued by the British in Hong Kong, see Steve Tsang, Hong Kong, An Appointment with China (London: I. B. Tauris ad Co, 1997), p. 70. João Guedes, Macau Confidencial (Macau: Instituto Internacional Macau, 2015), pp. 113-119. Gunn, Encountering Macau, pp. 96, 112-13 and 116, fn 60. Gunn, Encountering Macau, pp. 117-18. “Japan Wants to Buy Macao from Portugal,” in The Daily Mail (UK),15 May 1935. See also Macau Antiga, 6 May 2017. Joao F. O. Botas, Macau 1937-1945, os Anos da Guerra [Macau 1937-1945, the war years] (Macau: Instituto Internacional de Macau, 2012), pp. 293-94 and 323. Guedes, Macau Confidencial, , pp. 147-49. Gunn, Encountering Macau, pp. 118-128. Xiao Zhihao, Zhonggong Tegong [Chinese Communist Special Operations] (Beijing: Shidai Wenxian Chubanshe, 2010), pp. 205-206. Thanks to Dr. David Chambers for this reference. Guedes, Macau Confidencial, , pp. 166-67. Gunn, Encountering Macau, pp. 128-29. Vasco Silverio Marques, Anibal Mesquita Borges, O Ouro no Eixo Hong Kong Macau, 1946-1973 [The Gold on the Axis of Hong Kong and Macau] (Macau: Instituto Português do Oriente, 2012), pp. 183, 217, 237, 246, 488. Fernando Lima, Macau: as duas Transições [Macau The Two Transitions] (Macau: Fundação Macau, 1999), pp. 600-605. Thanks to Prof. Cathryn Clayton of the University of Hawaii and eminent historian João Guedes in Macau for their comments on this entry. Intelligence and security work is only occasionally discussed in histories of modern China, and more general works on intelligence history often feature a yawning “China gap,” with the country missing or only barely visible in the index and text. Although our understanding is far from ideal or complete, we have tried to fill the gap in part by showing the presence of Chinese intelligence operations behind the scenes in modern history. As secret matters and decisions about them are connected with major events, cause and effect might become clearer. This overview is followed by a year-on-year summary of the development of Chinese Communist intelligence organizations, meant to complement other sections of this volume. Zhou Enlai, the father of Chinese intelligence, in 1919. 1 July, the Chinese Communist Party ( CCP, 中国共产党, Zhongguo Gongchan Dang) is founded in the French concession of Shanghai. Due to poor operational security, French police agents discover the meeting, and delegates evacuate to an alternate site. September, a CCP “secret organization” (秘密组织, mimi zuzhi) is founded to deal with “traitors and scabs.” It had no apparent intelligence function. They and worker pickets organized in Shanghai are in a sense the antecedents of the “Red Squads” of 1927. May, a Military Special Commission (军事特别委员会, Junshi tebie weiyuanhui) under the CCP Shanghai executive committee is headed by Luo Yinong (罗亦农). After 18 June it is headed by Gu Shunzhang (顾顺章). Its functions included protecting Party VIPs and preparing for armed uprisings in support of the Northern Expedition. December, the CCP sends Chen Geng (陈赓) and Gu Shunzhang to Russia for three months of intelligence and special operations training in Moscow, Khabarovsk and Vladivostok. 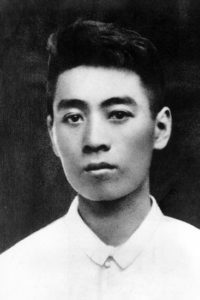 21 March, the armed uprising of CCP worker pickets begins under the leadership of Zhou Enlai (周恩来). 6 April, Manchurian warlord Zhang Zuolin (张作霖) raids Soviet embassy Beijing, seizes documents showing Soviet-CCP cooperation, extensive GRU networks in China, and penetration of the UK and Japanese embassies. Zhang’s forces arrest and hang CCP co-founder Li Dazhao (李大钊) on the 28th. 12 April, the KMT (Chinese Nationalist) “counterrevolutionary coup” (反革命政变, Fan geming zhengbian) against CCP in Shanghai and elsewhere ends the KMT-CCP First United Front. The KMT refers to the event as “the 1927 party cleansing” (1927年国民党清党, Guomindang qingdang). The CCP has only 2,000-3,000 soldiers remaining, and its membership drops from 60,000 to 10,000. May, the gradual assembly of CCP intelligence begins under the Central Military Department and Zhou Enlai, with the establishment of the Special Operations Branch (特务工作处, Tewu Gongzuo chu). It focuses on protection work, but is abolished in July or August. August, the CCP establishes a clandestine “General Services Section” (总务科, Zongwu ke) in Shanghai and Hong Kong to procure housing, rent furniture, secure clandestine meeting places, and rescue captured comrades. A year later, it becomes the SSS First Section. 22 August, Song Qingling (Madame Sun Yat-sen), now sympathetic to the CCP, is smuggled out of Shanghai at 3:30 in the morning and placed aboard a ship bound for Vladivostok. Later that morning her article condemning Generalissimo Chiang is published in a Shanghai newspaper. 21 September, CCP Central Committee members begin returning to Shanghai from Wuhan. In early October, they begin meetings there. Personnel from the Military Department including the Special Operations Branch accompany them, but intelligence collection is not fully underway, hindering the work of the “Dog Beating Squad.” Its personnel operate in two separate units in Shanghai and neighboring Jiangsu. 14 November, the CCP Central Committee establishes its first permanent intelligence and security organ, the Special Services Section (SSS, 中央特别任务科; 特科, Zhongyang Tebie Renwu Ke, or in abbreviated form, Teke). Gu Shunzhang is appointed director, and Zhou Enlai (周恩来) oversees his work. Li Qiang (李强) and others drawn from the earlier Wuhan organization become SSS cadres. 11-13 December, in the Guangzhou Uprising (广州起义, Guangzhou qiyi) CCP forces are quickly overcome after the local KMT commander, Zhang Fakui (张发奎), and his forces return to the city. At least two thousand communist troops and civilians die. The Soviet consulate in Guangzhou is closed and some of its diplomats are killed, eliminating a local source of support. The KMT calls this event the “Guangzhou Riot” (广州暴动, Guangzhou baodong). February, the KMT Central Committee establishes the Investigations Branch (调查科, Diaocha ke) under Chen Lifu (陈立夫), charged with hunting down CCP members. In early 1930 U.T. Hsu (徐恩增, Xu Enzeng), an engineer inexperienced in intelligence matters, is appointed as director. Accompanying Xu as his confidential secretary is Qian Zhuangfei (钱壮飞), a clandestine communist SSS agent. April, Chen Geng becomes SSS Intelligence branch head under Gu Shunzhang Gu, Chen, and Zhou Enlai conduct 20 days of training for new recruits in self defense, performing secret work, clandestine discipline, and attacking the enemy. 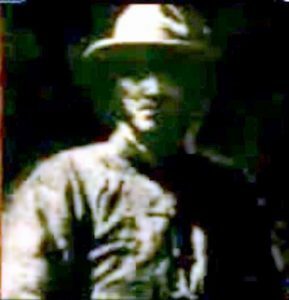 14 April, Luo Yinong (罗亦农), a member of the Special Services Commission overseeing clandestine work, is arrested in Shanghai and executed on the 21st. July, the CCP Sixth Congress holds its first plenary session in exile in Moscow. August, CCP forces in the Hunan-Jiangxi border area are defeated. In November, Mao Zedong (毛泽东) writes that CCP intelligence and operational planning were lacking. “We were uninformed about the enemy situation, the preparations were inadequate, and the officers and men did not understand the purpose of the operation. 14 November, The Central Committee Special Work Commission (中央特别任务委员会, Zhongyang Tebie Renwu Weiyuanhui) is established to supervise intelligence and protection work from the Central Committee level. 6 February, the CCP Politburo decides to organize the Secret Work Commission (秘密工作委员会, Mimi gongzuo weiyuanhui). 23 August, Zhou Enlai writes to the Shandong CCP about how to dispose of turncoats (叛徒, Pantu). Late 1929: The SSS “Dog Beating Squad” that conducts assassinations in Shanghai numbers 40 men. Ni Xingyang (ed. ), Zhongguo Gongchandang chuangjian shi [A History of the Establishment of the CCP] (Shanghai: Shanghai renmin chubanshe, 2006), p. 72. Feng Xiaomei, ed., 1921-1933: Zhonggong Zhongyang zai Shanghai [1921-1933: The CCP Central Committee in Shanghai] (Beijing: Zhonggong Dangshi Chubanshe, 2006), p. 343. Xue Yu, “Guanyu zhonggong zhongyang teke nuogan wenti de tantao” [An Inquiry into Certain Questions About the Central Committee Special Operations Branch] in Zhonggong Dangshi Yanjiu [The Study of Chinese Communist History] (Beijing: March 1999), p. 2. Mu Xin, Zhou Enlai, yinbi zhanxian tongshuai [Zhou Enlai, guru of the hidden battlefront] (Beijing: Zhongguo Qingnian Chubanshe, 2012), pp. 132-33. Wang Jianying (ed. ), Zhongguo gongchandang zuzhi shi ziliao huibian, v. 2 [A Compilation of Chinese Communist Party Organizational History, Vol. 2] (Beijing: Zhonggong zhongyang dangxiao chubanshe, 1995), p. 35. Ding Jizhong, “Li Qiang” in Wang Qi (ed.) Zhonggong Dangshi Renwu zhuan, vol. 72 [Biographies of Figures in Chinese Communist History] (Beijing: Zhongyang Wenyi Chubanshe, 2000), pp. 234-35. Mu Xin, Chen Geng Tongzhi zai Shanghai—zai Zhongyang Teke de douzheng jingli [Comrade Chen Geng in Shanghai—the battle experience of being in the Central Committee Special Services Section] (Beijing: Wenshi Ziliao Chubanshe, 1980), pp. 4-6. Mu Xin, “Chen Geng,” in Zhonggong dangshi renwu zhuan, pp. 6-8. Mu Xin, Zhou Enlai, yinbi zhanxian tongshuai, p. 4. Wilbur and How, Documents on Communism, pp. 7-9, 14-15. Feng Xiaomei, ed., 1921-1933: Zhonggong Zhongyang zai Shanghai, pp. 368-69. Chen Yung-fa, Zhongguo Gongchandang Qishi Nian [Seventy Years of the Chinese Communist Party] (Taipei: Linking Books, 1998), p. 221. Feng Xiaomei, ed., 1921-1933: Zhonggong Zhongyang zai Shanghai, p. 368. Hao Zaijin, Zhongguo mimi zhan – zhonggong qingbao, baowei gongzuo jishi [China’s Secret War – The Record of Chinese Communist Intelligence and Protection Work] (Beijing: Zuojia Chubanshe, 2005), pp. 1 and 6-8. Chen Yung-fa, Zhongguo Gongchandang Qishi Nian, pp. 109-110. U.T. Hsu, The Invisible Conflict (Hong Kong: China Viewpoints, 1958), p. 10. Mu Xin, Zhou Enlai, yinbi zhanxian tongshuai, pp. 8-9. Mu Xin, Zhou Enlai, yinbi zhanxian tongshuai, pp. 14-15. Feng Xiaomei, ed., 1921-1933: Zhonggong Zhongyang zai Shanghai, p. 369. Xue Yu, “Guanyu zhonggong zhongyang teke nuogan wenti de tantao”, pp. 2-3. Mu Xin, Zhou Enlai, yinbi zhanxian tongshuai, pp. 133-34. Hao Zaijin, Zhongguo mimi zhan, pp. 5-8. Mu Xin, Zhou Enlai, yinbi zhanxian tongshuai, p. 11. Feng Xiaomei, ed., 1921-1933: Zhonggong Zhongyang zai Shanghai, p. 371. C. Martin Wilbur, “The Nationalist Revolution: from Canton to Nanking, 1923-28”, pp. 690-696. Chen Yung-fa, Zhongguo Gongchandang qishi nian, v. 1 [Seventy Years of the Chinese Communist Party, v. 1] (Taipei: Linking Books, 2001), 179. Feng Xiaomei, ed., 1921-1933: Zhonggong Zhongyang zai Shanghai, p. 372. U.T. Hsu (Xu Enzeng), The Invisible Conflict (Hong Kong: China Viewpoints, 1958). Feng Xiaomei, ed., 1921-1933: Zhonggong Zhongyang zai Shanghai, p. 376. Feng Xiaomei, ed., 1921-1933: Zhonggong Zhongyang zai Shanghai, p. 378. Mao Tse-tung, “The Struggle in the Chingkang Mountains: The Independent Regime in the Hunan-Kiangsi Border Area and the August Defeat,” in Selected Works of Mao Tse-tung, vol. 1 (Peking: Foreign Languages Press, 1965) p. 78. Mu Xin, Zhou Enlai, yinbi zhanxian tongshuai, pp. 11-12. Feng Xiaomei, ed., 1921-1933: Zhonggong Zhongyang zai Shanghai, p. 381. Feng Xiaomei, ed., 1921-1933: Zhonggong Zhongyang zai Shanghai, p. 383. Feng Xiaomei, ed., 1921-1933: Zhonggong Zhongyang zai Shanghai, p. 387.